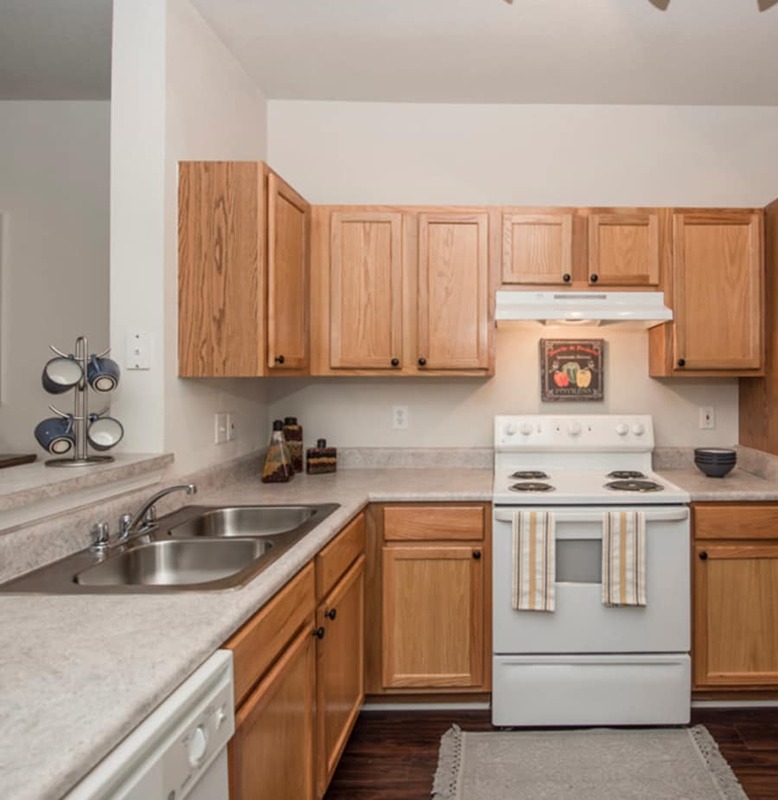 Our one and two bedroom apartments in Jonesboro, GA, boast well-appointed kitchens, spacious walk-in closets, and washer and dryer connections for your convenience. Coming home to Villas by the Lake places you in a quiet, tucked-away community with beautiful wooded landscaping set over 25 acres. As you arrive home each day, you’ll love entering an open, airy apartment that has been tastefully designed with luxurious features and includes a spacious, open-concept floor plan. Our apartments boast large patios and balconies with storage closets, as well as separate dining areas and utility rooms. At Villas by the Lake, choose from our one or two bedroom apartments for rent in Jonesboro, GA. Get cozy in our one bedroom apartments, which measure in at 871 square feet of living space and include a foyer with a convenient coat closet, separate dining room, and an L-shaped kitchen with a breakfast bar. The bedroom includes a spacious walk-in closet, which you’ll especially appreciate if you have a housemate. Our two bedroom floor plan measures in at 1,160 square feet of living space and features a stand-alone dining room and large laundry room. The master bedroom includes an ensuite bathroom and a large walk-in closet. The second bedroom has private access to the Jack and Jill bathroom and also includes a walk-in closet. Browse our selection of one and two bedroom apartments for rent in Jonesboro, GA, and then contact us to schedule your personal tour.